New Jersey-based Prestige BMW brings forward today two special vehicles, based on the very same i8 plug-in hybrid. One of them features a psychedelic wrap that’s meant to attract a lot of eyeballs and be a head turner everywhere it goes. According to the owner, Eddie Jones, this design is unlike many other graphic wraps, because all the artwork you see on the side and hood was drawn by hand. The design was 100% hand drawn, scanned in high resolution, and converted into a printable format by Jay Wraps. “That is my favorite thing about this wrap, as all the “human imperfections” within the design add that personal touch that you can’t get with a computer-made design,” Jones says. The combination of pearlescent purple – mixed with cyan and gold – and the artwork really come together to create what one day we could see on of BMW’s Art Cars. 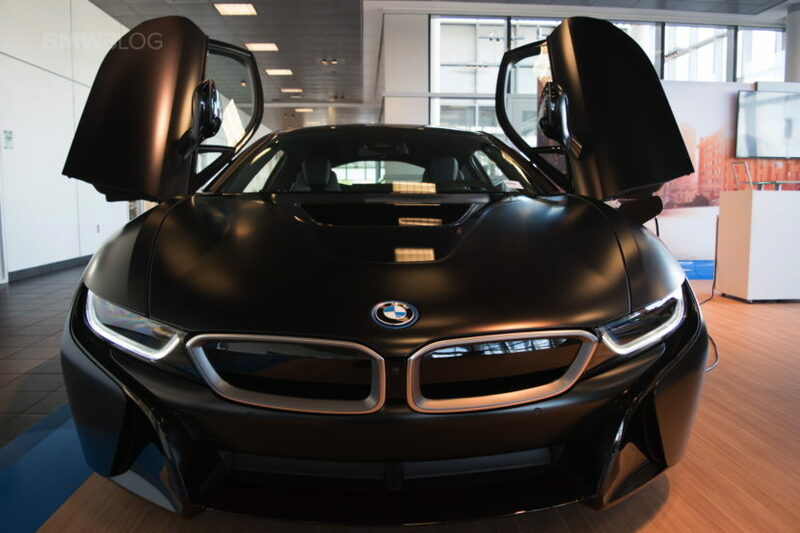 The second BMW i8 that could be found in Prestige BMW’s showroom is the exclusive i8 Protonic Frozen Black. The BMW i8 Protonic Frozen Black Edition is based on a matte lacquer, which in everyday life is often even more impressive than on high-gloss polished cars – and which in the case of the wing door is even more special, because the elements of the Black Belt as with all other i8 are still in glossy black. 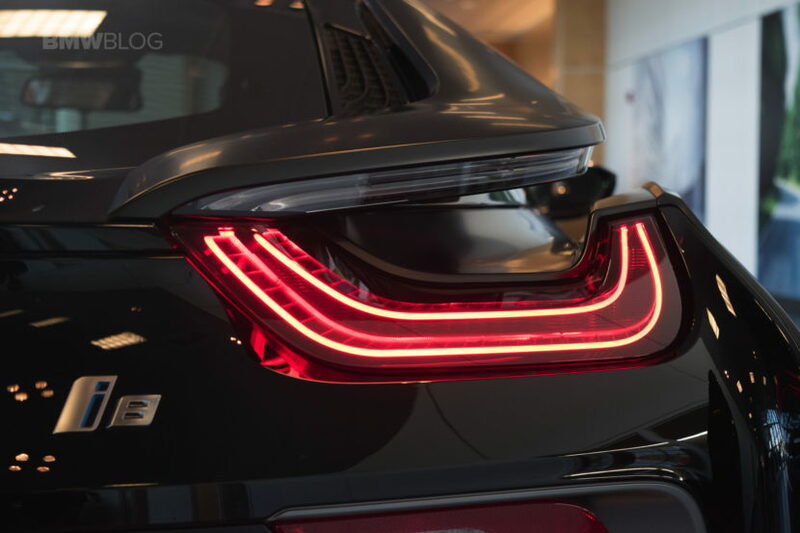 The i8-typical accents in Frozen Gray are also reserved. This gives the BMW i8 Protonic Frozen Black Edition a bicolor look of shiny and matte black which, in combination with the aerodynamically designed and unchanged futuristic-looking forms, will surely attract many curious looks. At $155,000 is certainly not on the affordable side, but that’s the price for exclusivity and for getting BMW’s most advanced car-to-date.